Russian President Vladimir Putin will host counterparts from Iran and Turkey on February 14 in Sochi to discuss plans for Syria after the U.S. military pulls its troops out of the war-torn country. 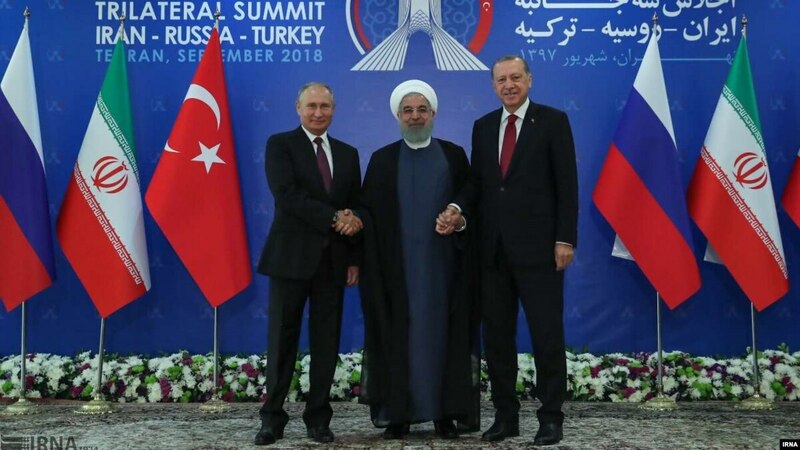 The Kremlin said Putin, Turkish President Recep Tayyip Erdogan, and Iranian President Hassan Rohani would consider “further joint steps with a view to a long-term settlement” in Syria. Russian Foreign Minister Sergei Lavrov said the presidents would discuss forming a committee to draw up a new postwar constitution for Syria. The three countries have said they want a political solution to end Syria’s seven-year civil war. Moscow and Tehran back Syrian President Bashar al-Assad, while Turkey and the United States back differing rebel groups. Several rounds of negotiations over recent years have failed to end the fighting, which has claimed the lives of more than 400,000 people, displaced millions, and devastated many historic sites across the country. President Donald Trump has announced that the U.S. military will pull all of its 2,000 troops out of Syria, where they have been assisting a Syrian Arab and Kurdish alliance fight against Islamic State insurgents. Critics have accused Trump of handing a victory to Russia and Iran and of leaving allied Kurdish fighters at the mercy of Turkey, which considers terrorists. Erdogan’s office said the three leaders would be seeking a “permanent solution” for the crisis in Syria.